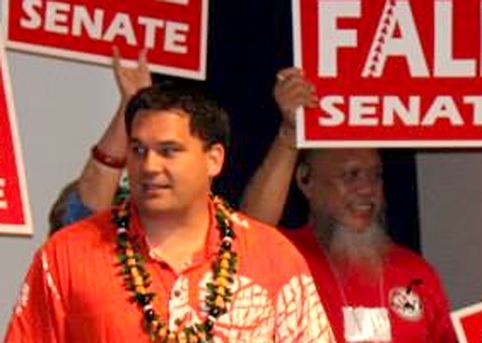 QUESTION : Exactly how worried are Hawaii Democrats and RINO's about losing control of the Hawaii Republican Party to real Republicans a.k.a. 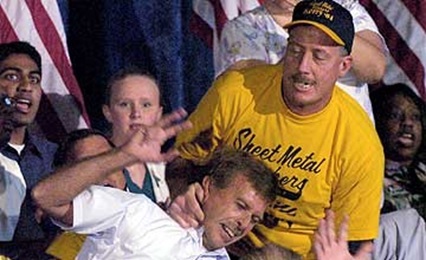 Conservatives in the aftermath of the 2016 election? "(Fale's) attack on Eric Ryan is applauded, though not exactly politically correct. - PAT". Politically correct? That's when there is a gaffe. Saiki personally condones and encourages Republican fist fights. 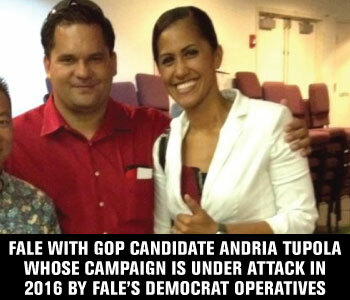 In the wake of two violent attacks on HIRA officers so far this year by RINO thug Richard Fale (and his spouse) in response to HIRA's exposure of corruption and Democrat infiltration of the Hawaii GOP, Saiki's e-mail today is total 100% confirmation that Democrats really have infiltrated Hawaii's GOP leadership and that they are willing to use violence to retain control of the state and county party organizations. 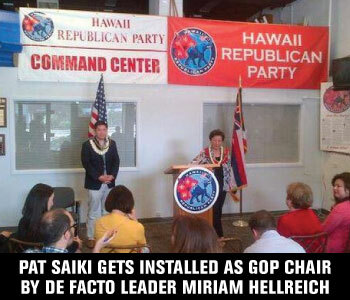 A liberal faction of Democrats and RINO's which has controlled the Hawaii GOP for two decades is run by Pat Saiki, Miriam Hellreich, Barbara Marumoto, Fritz Rohlfing, and others whom HIRA has exposed. 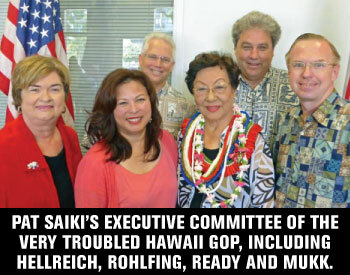 With RINO GOP Leader Pat Saiki approving and encouraging thug violence against HIRA to suppress conservatives, and with RINO thugs operating with the blessing of Team Hellreich, it's obvious they have no intention of going away and will use whatever means are necessary to retain their hold on power -- even if the 2016 election is yet another disaster for Republicans in Hawaii. RINO's simply won't peacefully accept a desire for Hawaii Republicans to embrace conservative solutions and conservative messaging. 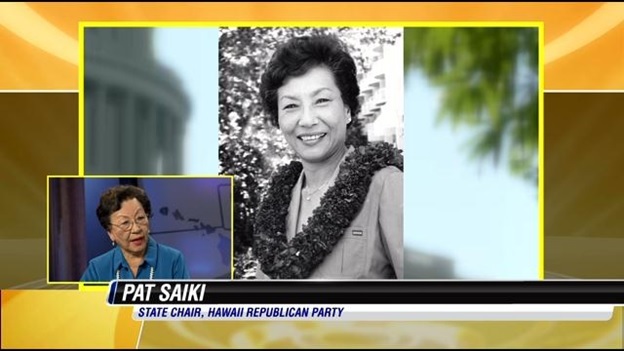 HIRA President Eric Ryan, singled out by GOP leader Pat Saiki for violent attack, issued the following statement: "It's hard to believe that Ms. Saiki was ever a member of the United States Congress, albeit briefly until voters tossed her out. 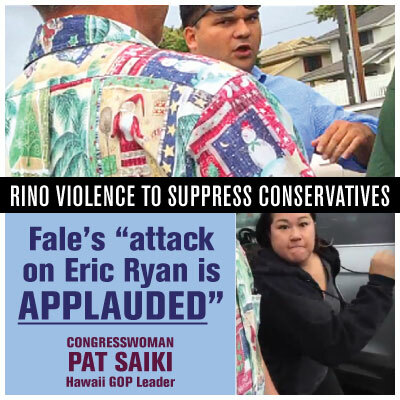 We expect the Hawaii Republican Party to formally and assertively denounce the violent behavior of its thug Richard Fale and encouragement by former party chair Saiki, rather than openly applauding and encouraging such violent behavior. Not only is violence 'politically incorrect' as Ms. Saiki suggests, it's also highly illegal and extremely dangerous. 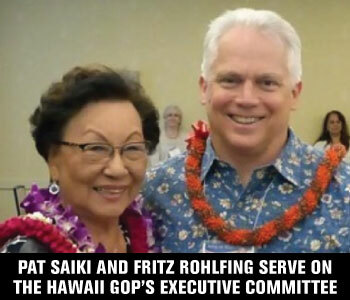 With party leader Pat Saiki openly acknowledging support for violence against conservatives, any continued silence by Saiki's fellow leaders of the state party on this matter will be properly interpreted by card-carrying Republicans and by voters at large that the Hawaii GOP is as corrupt as HIRA has alleged and repeatedly proven. Since Fritz Rohlfing and Miriam Hellreich and Gene Ward haven't done a thing in the past two years to ensure victories today, they can certainly find five minutes in their schedule to jointly denounce Pat Saiki to the broadest possible statewide audience." The Hawaii Republican Assembly is encouraging island Republicans to join forces to 'take back' their party in Hawaii. Frequently, HIRA uses video of a Pat Saiki press conference to illustrate the most significant problem hindering GOP success in Hawaii. On the video, Saiki argues that the Republican Party should be neutral on issues and that candidates should be the ones to decide without restriction what it means to be Republican. HIRA believes strongly that Hawaii voters are looking for a choice, not an echo, of what Democrats have to offer, and that "Republicans in name only" (or RINO's) only make Hawaii's problems worse by supporting Democrat policies at the state legislature and on county councils. 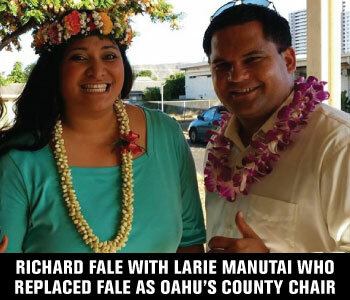 RINO CONTROL OF THE HAWAII GOP. 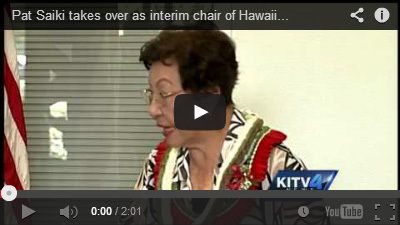 HAS BEEN ENCOURAGED BY CONGRESSWOMAN SAIKI TO CONTINUE HIS STREAK OF VIOLENCE AGAINST HIRA'S CONSERVATIVE REPUBLICANS. Clearly, Democrats and liberals and RINO's are desperate to keep the Hawaii GOP small and under their control for another two decades. 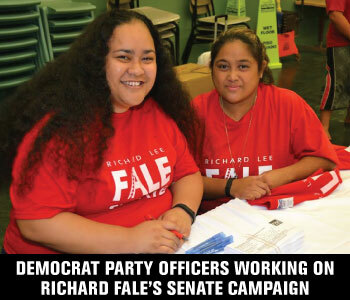 But with your help in the months ahead, HIRA will drive out these infiltrators and renew our party's promise to save Hawaii with the reform-minded, conservative policies which only a strong GOP can deliver .